He was born on Decmeber 25, 1709, in Saint-Malo, France and died on November 11, 1751, in Berlin. He is a physician and philosopher whose Materialistic interpretation of psychic phenomena laid the groundwork for future developments of behaviorism and played an important part in the history of modern Materialism. He obtained a medical degree at Reims, studied medicine in Leiden under Herman Boerhaave (some of whose works he translated into French), and served as surgeon to the French military. A personal illness convinced him that psychic phenomena were directly related to organic changes in the brain and nervous system. 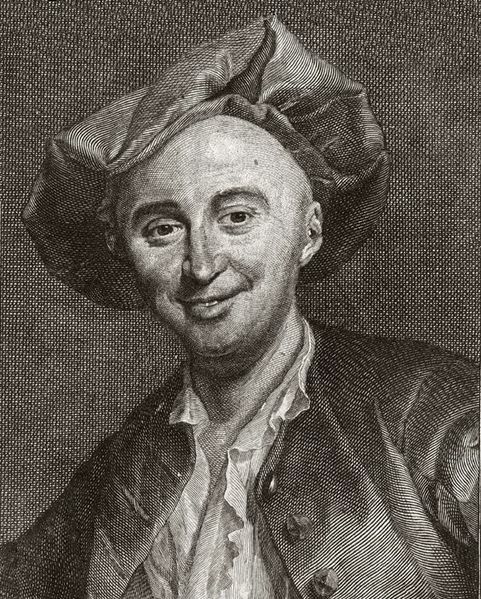 The outcry following publication of these views in Histoire naturelle de l’ame (1745; “Natural History of the Soul”) forced his departure from Paris. The book was burned by the public hangman. In Holland La Mettrie published L’Homme-machine (1747; L’Homme Machine: A Study in the Origins of an Ida, 1960), developing more boldly and completely, and with great originality, his materialistic and atheistic views. The ethics of these principles were worked out in Discours sur le Bonheur ou l’ anti-Seneque (“Discourse on Happiness, or the Anti-Seneca”). He was then forced to leave Holland but the Great, made court reader, and appointed to the academy of science. In accord with his belief that atheism was the sole road to happiness and sense pleasure the purpose of life (Le Petit Homme a longue quequ, 1751; “The Small Man in a Long Queuq”), he was a carefree hedonist to the end, finally dying of ptomaine poisoning. His collected works, Oeuvres philosophiques, were published in 1751, and selections were edited by Marcelle Tisserand in 1954.